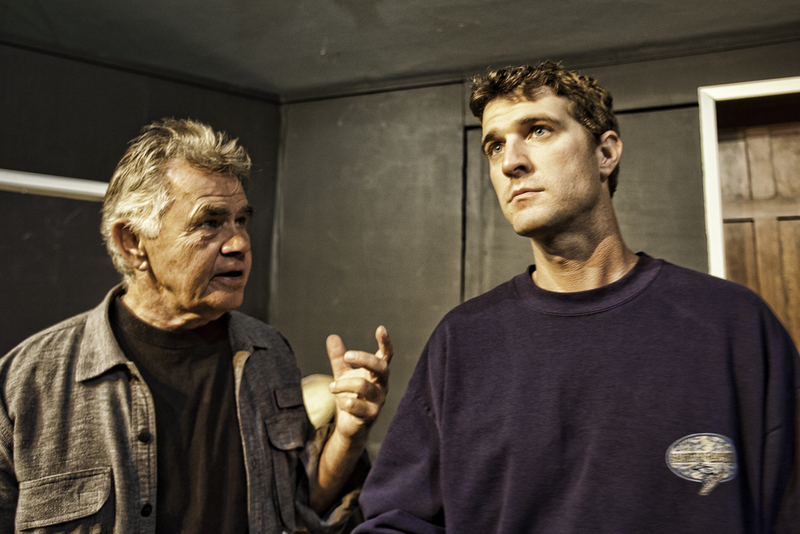 Joe Boles (left) and Curtis Cline in DIRECTING HAMLETRehesarsals are going great. So here's the downside: How do you know when a rehearsal about a rehearsal is actually improving and not just a good rehearsal? How can you be sure struggling with the lines isn't actually struggling with the lines and when we get further into the mire we won't find ourselves asking, "what happened to the rehearsal aspect? : It looks like a performance; and what happened to struggling with the lines? It was looking so great. The potential was all there. . . so what happened? "?Everyone's getting along well right now. We have to change that. Time to move on to sets, lighting and sound. That'll bring a headache or two.